The Onyx II, is the sealed version of the 2011 Scubalab Testers Choice regulator, the Onyx. With the same attractive finish and outstanding performance as the Onyx regulator, the Onyx II fills the need for those that find themselves in cooler water. The Onyx II comes with an environmental seal stopping all contaminants from entering the first stage. No salt water, No sand, No silt. Making this regulator super dependable. The internal structure allows direct airflow through the 1st stage, providing lower turbulence for outstanding performance. Our conical precision high-pressure valve provides much greater reliability and service life compared to conventional designs, while improving responsiveness and performance at all breathing rates. An anodized aluminum heat sink on the 2nd stage along with the external diaphragm on the 1st stage improves the cold water performance of the Onyx II regulator. 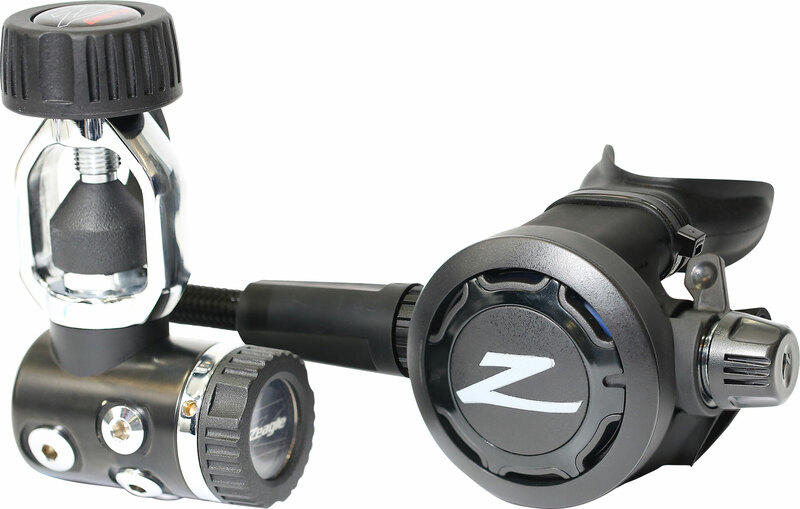 Like all Zeagle regulators, The Onyx II comes factory ready for use with EAN/ NITROX to 40% O2.